Last week I shared with you a collection of Worst Decorating Mistakes. I got a good laugh reading the comments about your worst decorating faux pas. Glad to know I am not the only one that has royally screwed up! 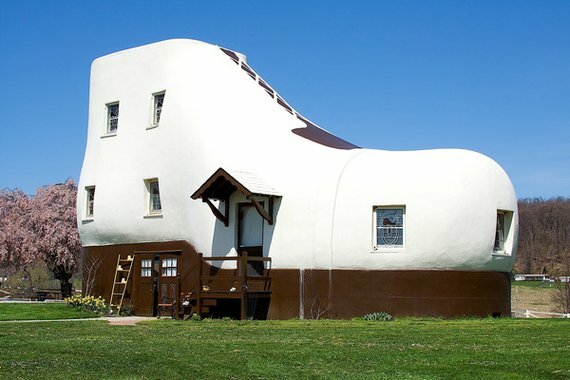 It’s Monday morning and I thought you might enjoy visiting some of the strangest home exteriors. I found so many examples on the internet that it was hard to decide which ones were the worst. All I can say is “thank goodness for our home owner association’s rules and regulations”. This would be a cute playhouse for a little girl but actual grownups live here. This homeowner was obviously a fan of Mother Goose. 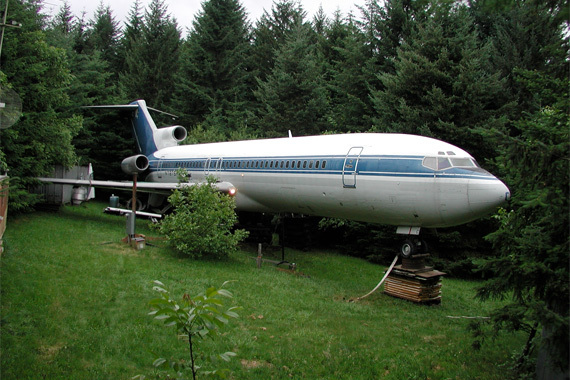 I’ve spent more than my share of time on planes and the last thing I would want to do is live in one. Not liking your location? Just start the engines and relocate. 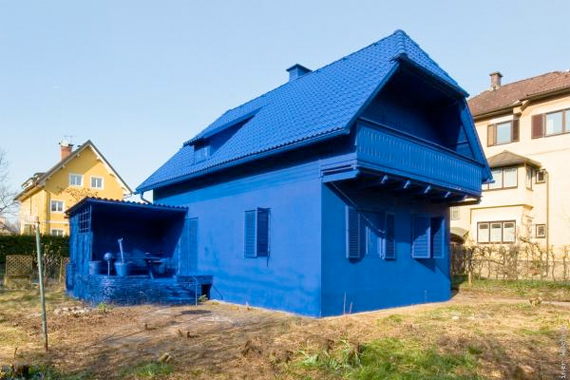 Looks like the homeowner used all the leftover paint. 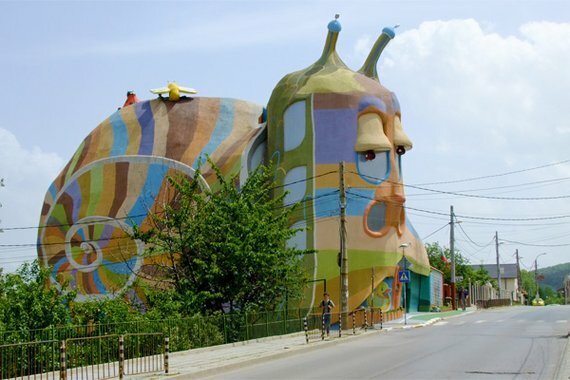 Who doesn’t want to live in a giant plaster snail? 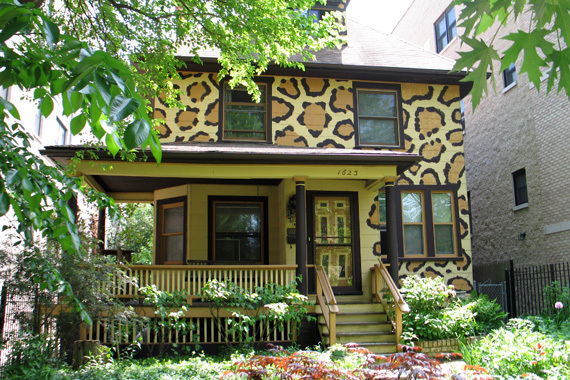 Is this suppose to camouflage the house? I saved the best for last. 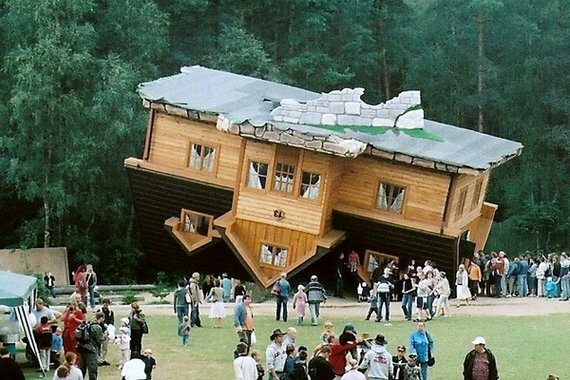 Yes, this was built as an upside down house. If you HAD to live in one “as is” which would it be? Hard choice, huh? I would probably pick the snail just because my grandchildren would love it. 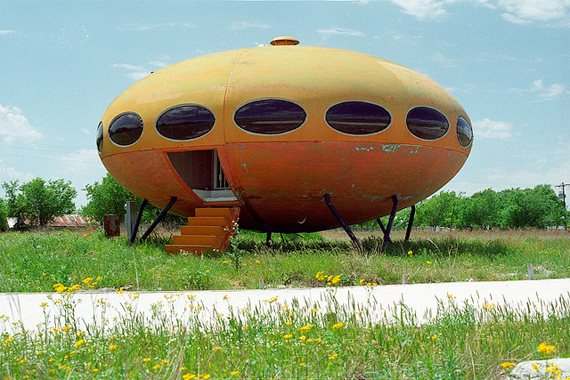 Hmmmmmm…..well, we all have a vision of a dream home……to each his own. My daughter would have loved the Hello Kitty house back in the day, though! Oh my word, these are unreal. These are all fun. It is amazing what peeps come up with to live in!!!! Thanks for sharing. The plane, for sure, the plane. I love tiny homes and recently told my husband that I would love to "retire" to a plane or a school bus. Keeps the kids from moving back in, lol. Sherry…These are so funny! 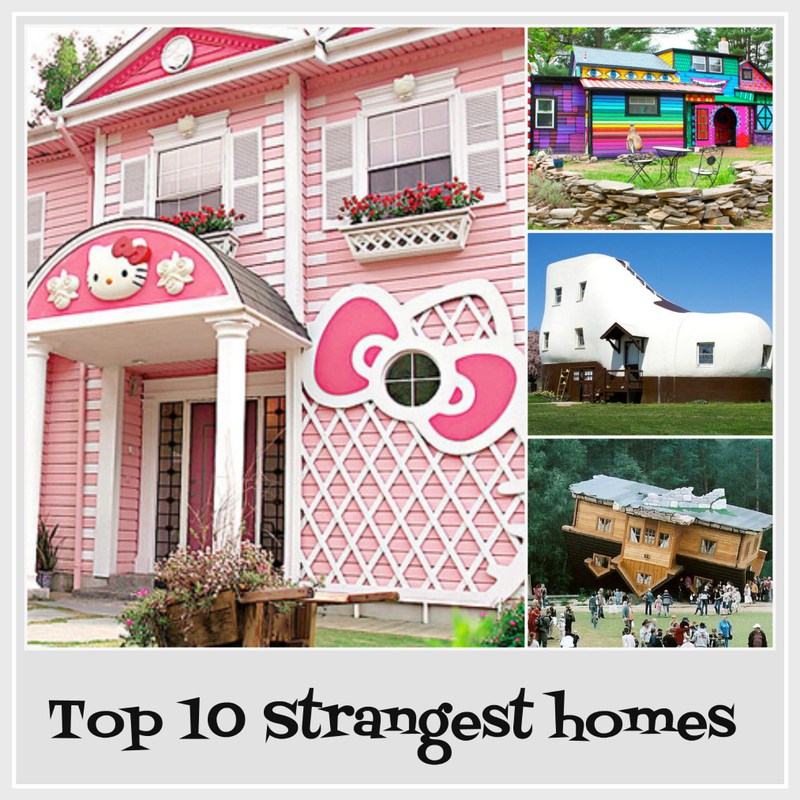 my favorite "worst" would be the Hello kitty house! I kind of like the idea of the plane!!! Wonder what it looks like on the inside? Ha where did you find these??? Very entertaining and made me realize how some people really live their life to the fullest regardless of others opinions! If only to be like that…. I would definitely go for the camouflage one – looks like leopard skin and my daughter has had her eye on some leopard skin shoes for ages now – which she is not going to get by the way – she is 4!! made me smile…. Here's a great example of truth is stranger than fiction! Oh my stars Sherry, I don't know which one is worse! 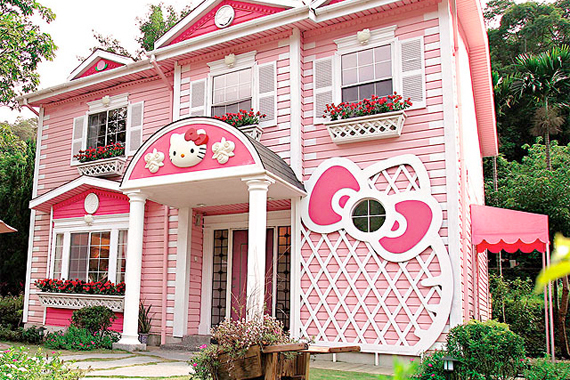 Please tell me a man doesn't live in that Hello Kitty house! I really don't know which one I'd pick, I am very happy where I am! You had me at the Hello Kitty house!….Such a fun post Sherry!!! 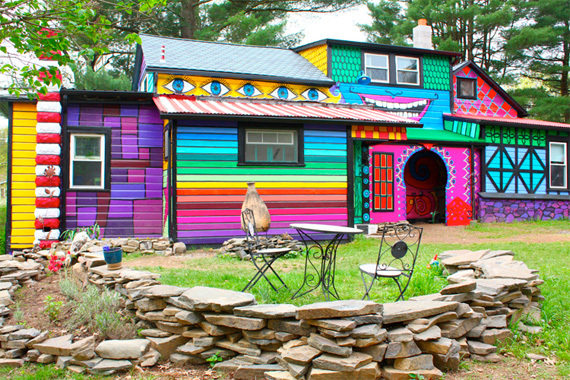 Those are some crazy houses for sure Sherry! OMG! I've never seen anything quite like those homes before. The upside down house is really fascinating though. A great post, really those houses are very different, it would be interesting to see inside some of them, especially the airplane. For me I like a house to look like a house and if I was building my own the outside would have to be as inviting as the inside. 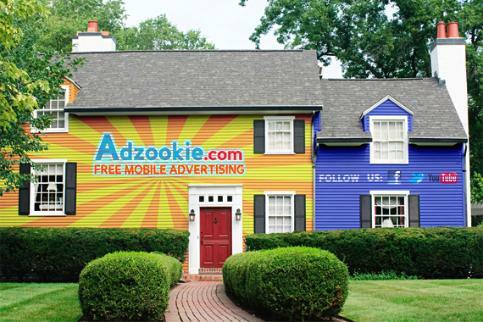 I'd probably want to live in the multicolored house. I would be embarrassed to walk up to the door of the others! !